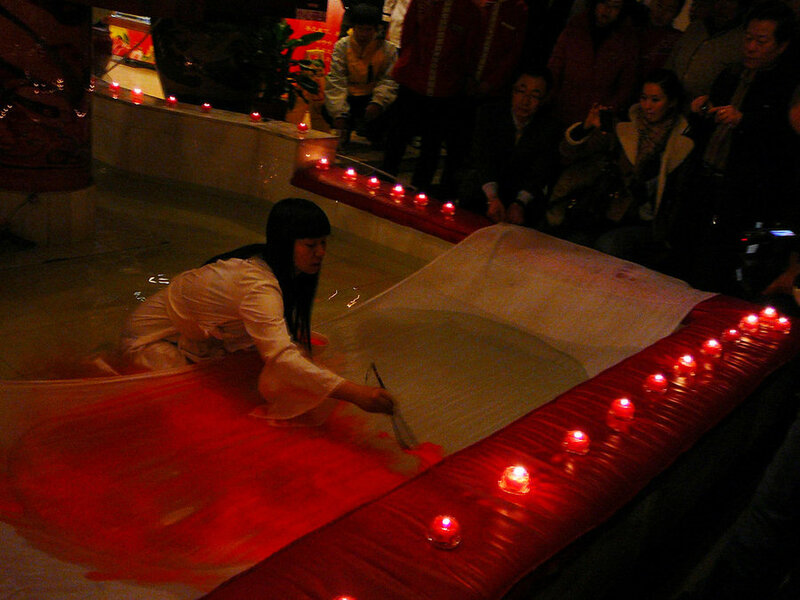 In 2010, Li Xinmo performed her work, “A Love Poem Written in Water.” The work is about the feelings of contemporary people but it has a distinctly Chinese Chan Buddhist feel to it. It’s a love poem written by a Chinese woman in a city using a classical lyric (ci) form. 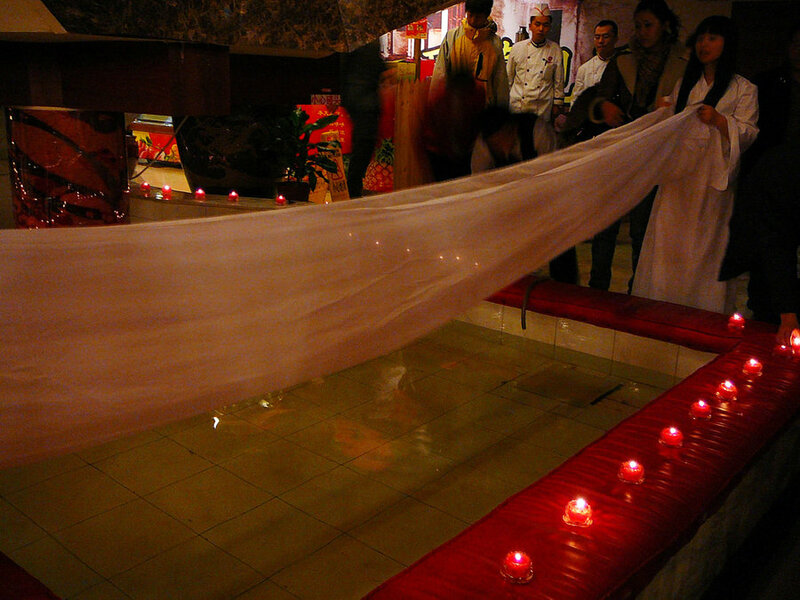 The site of the exhibit was a small pool with a white silk cloth in the water. 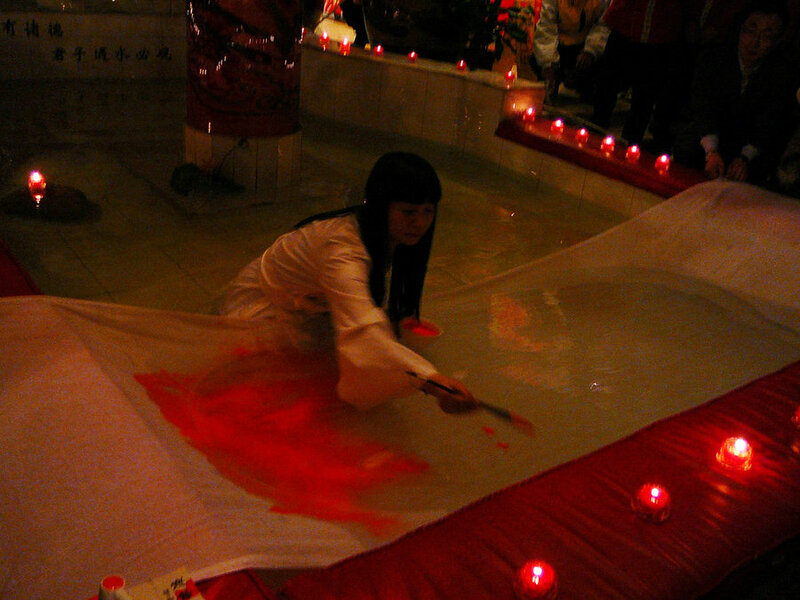 Li Xinmo was dressed in white, as she so often is in her performances. 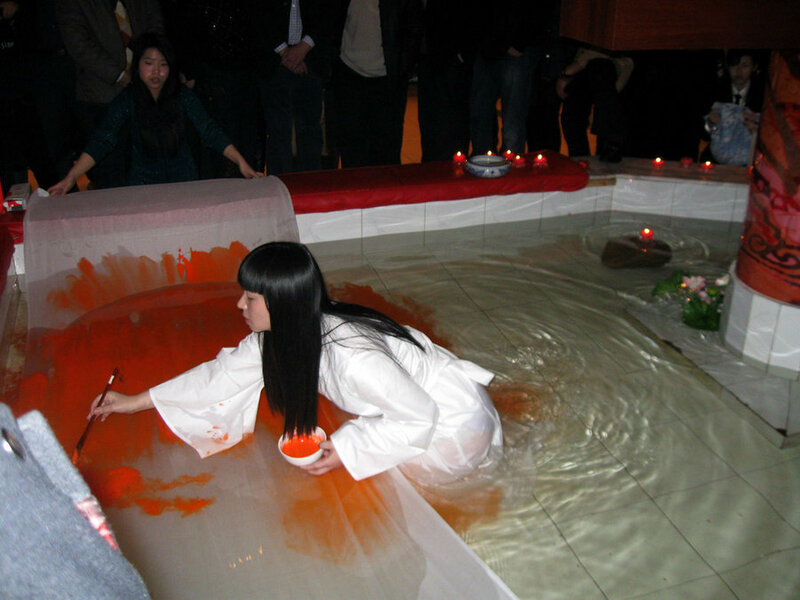 She was sitting in the water, writing the poem using vermilion ink. 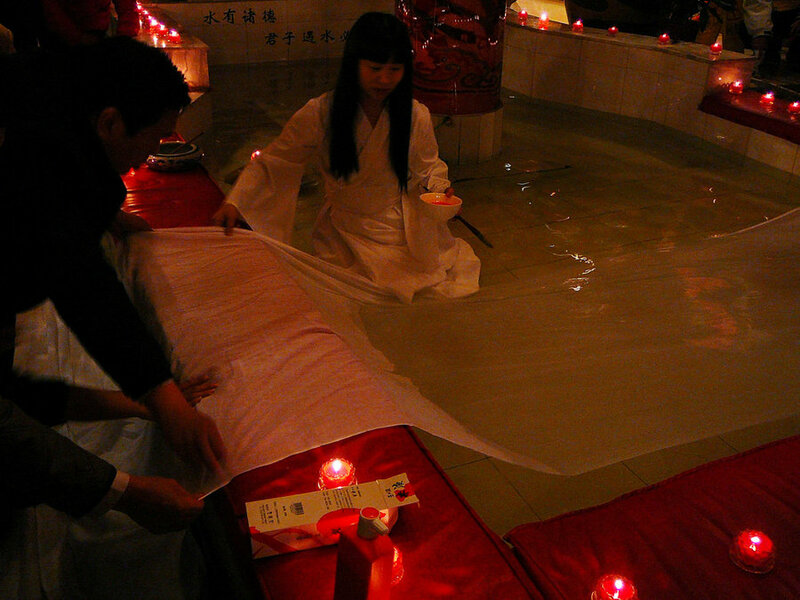 Traces of the words spread outward in the water and, in the end, all that remained on the white silk cloth were stained spots that resembled tears. This work differed from her previous work in that it shifted from her focus on social and political issues to focus on philosophical reflections on life. Love was a major theme in literature from the Romantic period, but here Li Xinmo uses contemporary art forms and a specifically Eastern wisdom in order to shed new light on this never-ending topic. The work was developed as a performance piece but the writing resulted in the creation of an abstract work of art.